Michael Ferrer is one of the most genuine and hardest working people I know. From our time together at Clemson University and through our continued friendship he continues to impress me with his business savvy as well as insightful perspectives both personally and professionally. Mike’s knowledge of the Charleston market is superb and he worked tirelessly to assist with the marketing and leasing of our buildings. Scott Herr, Vice President of Land Acquisition at M/I Homes, Inc.
Michael Ferrer combines an extremely strong work ethic with an infectious personality. His knowledge of the Charleston region’s business climate is untouched, which makes him a valuable asset in his field. I have recommended Michael to numerous colleagues knowing he will provide stellar service! Natalie Lawrence, Marketing & Communications Strategist at Davis & Floyd, Inc. Working with Mike has been a true pleasure. He is unafraid to cold calls and a true team player. Mike is one of the leading Industrial Real Estate agents in the Charleston Tri-County Region. He is capable of representing either the buyer or the seller and has been involved in several high profile transactions over the years. He is extremely knowledgeable in both the market conditions and the product available in Charleston. Mike is skilled at developing a marketing campaign and leading the sales process and he is backed by a strong firm, Grubb & Ellis, which provides him with a world-wide network and services right at his finger tips. Mike is an asset to any industrial driven deal. Michael has been and continues to be a great friend of the commercial real estate program in the School of Business at the College of Charleston. We count on having knowledgeable professionals to work with our students to help them receive a world-class education in the business of commercial real estate. Michael has been generous with his time and we greatly appreciate his involvment in our program. It was a pleasure to work with Mike, as always. He is highly motivated and dependable. If you ask him a question he responds with an answer immediately, if you need him to find or look up something it gets done yesterday. He is very honest and hard working. If you are looking for a true expert and want someone who gives it to you straight with no if’s and but’s – Call Mike Ferrer – NOW! Michael is a fine Commercial Broker, always focused on the client needs. He will be an asset in any commercial transaction. I have had the pleasure of knowing Mike for 22 years and in that time I have always been able to count on him. When the cards are down Mike is the guy you want in your corner. He is bright, funny, and hardworking, but his most impressive qualities are his loyalty and integrity. Forgive the cliché, but Mike is simply a stand-up guy. I would not hesitate in recommending Mike in whatever he pursues. Vice President at Plymouth Capital Management & Advisors LLC, Anthony Napolitano, Ph.D. I have known Michael Ferrer (Mike) for close to 10 years. During this time I have become well acquainted with Mike’s character and professionalism. Mike is a person of impeccable character. He is always honest and forthright in his dealings (business and personal). He is a very loyal friend and has displayed an uncanny knack in making anyone feel comfortable in difficult situations. It is with great enthusiasm that I recommend Michael Ferrer in any line of business dealings or consultation. Mike is an ethical, knowledgeable professional with a thorough understanding of the Charleston real estate market. Mike is a savvy and dedicated real estate professional. He works tirelessly for his clients and keeps their needs and goals top of mind at all times. In addition to his customer care, Mike is also an outstanding public speaker. 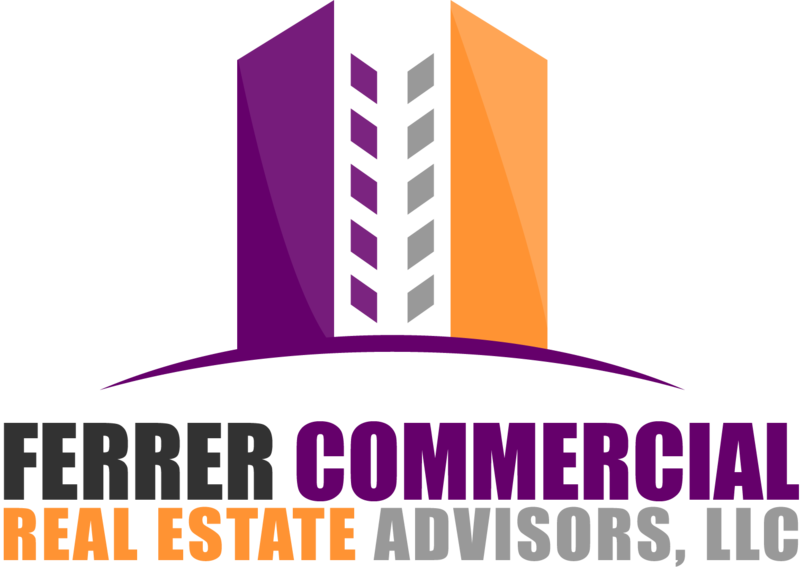 I met Mike Ferrer early in his commercial real estate career. He exhibits that rare blend of singular focus and action that gets things done. His persistence in moving through circumstances and obstacles on behalf of his clients puts him in the top 10 percent of professionals in the markets he chooses to serve. One would do well to retain Mike for his or her commercial real estate objectives. John Earl Carroll, Strategist, growth expert and president of Unlimited Performance, Inc.
Mike has always been aggressive, thorough, and focused on his client’s goals. He takes pride in his work and has a long list of satisfied clients. I can’t recommend him enough. Mike was the agent representing us for a property purchase in North Charleston, SC. His insight, directions, patience and negotiating skills were instrumental in the successful transaction. He will be a valuable member of your team too. Coleman Thompson, V.P. at Hunter Transportation Company Inc.
Mike is a relentless net-worker, and he takes the time to understand the goals of those he interacts with. He is always happy to facilitate an introduction on behalf of others, even if it does not directly impact his business. With the many connections Mike has over the years, he is an excellent resource for information and he is also able to leverage those connections to the benefit of his clients. Mike has a great understanding of the local industrial market. He is very proactive and results oriented. Mike is a highly motivated result driven individual. His work ethic, ability to think and solve problems and drive were second to none. I would recommend Mike to any company in need of a knowledgeable consultant where energy, creatively and enthusiasm are required attributes. I have been involved with real estate transactions on various levels during the last forty years and really appreciate Mike’s extra efforts to make a very profitable, quick and professional experience. There is no question that Mike has a knack of going through a deal and immediately ferreting out the value and opportunity for his client. His quick thinking combined with 10+ years of experience made me very pleased to have him on my side of the transaction.